emitter micro Festival 2015 is over! emitter micro 2015 is a 3-day festival of sound and more in berlin. 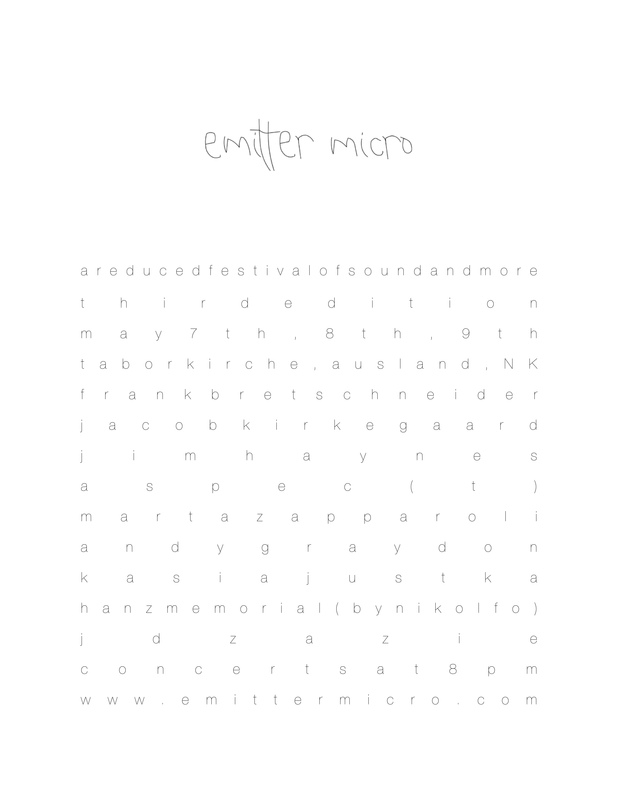 curated by kris limbach and pierce warnecke and this year especially co-curated by NK and Ausland, emitter micro proposes a selection of international and berlin based artists from multiple contemporary sound practices and genres.